We are excited to announce two additions to the Brass educational team for The Academy in 2018. Joining newly placed Brass Caption Head Ben Hylton will be Consultants John Meehan and Kevin Ronan. We look forward to the coming season in great anticipation, with audition events across the country beginning in November. Look for updates in the coming weeks on the remaining brass staff and audition opportunities in your area. John Meehan is excited to join The Academy brass staff, and looks forward to his time working with caption head Ben Hylton, and the entire brass program. John is the current brass caption head and arranger for the 18 time D.C.I. champions, as well as music director and arranger for the ‘B’ and ‘C’ Corps programs. Since joining the staff of The Blue Devils in 1994, John has helped the A Corps win 12 D.C.I. championships, as well as 12 Jim Ott high brass awards. John has been composing and arranging music for marching bands and drum corps since 1992. Clients of John’s have won numerous state marching band titles, as well as Bands of America Regionals, and been finalists at the Bands of American Grand National Championships. Other non-pageantry writing includes composing for the album “The Music of WYLAND”, scoring the film “Mind Games”, writing two spots for Kaiser Permanente, and being commissioned to compose several wind ensemble pieces. Notable career achievements include lead designer for both the System Blue and King marching brass instrument series, development and production for the Sample Logic and System Blue sound libraries, and performing (as a percussionist) on the movie soundtrack “Monsters University” . John is a Conn-Selmer and System Blue artist, and exclusively uses Sibelius. John lives in California with his wife Jackie, their 3 daughters, and two rescue dogs. Kevin Ronan is a graduate of Arizona State University, where he earned his Bachelor of Music Education and Master of Music Performance degrees. While a student at ASU, he studied with Sam Pilafian, world-renowned brass pedagogue and co-author of “The Breathing Gym”. Kevin also served on the instructional staff of the ASU Athletic Band Department for five years, under the direction of James G. Hudson. Mr. Ronan works year-round as a music arranger and copyist. Proficient in Sibelius and Finale, Kevin has over a decade of experience in transcribing, arranging, copyist work, and preparing/engraving pieces for publication or distribution. On the marching field, bands performing his arrangements have been recognized as State Marching Finalists and Champions. 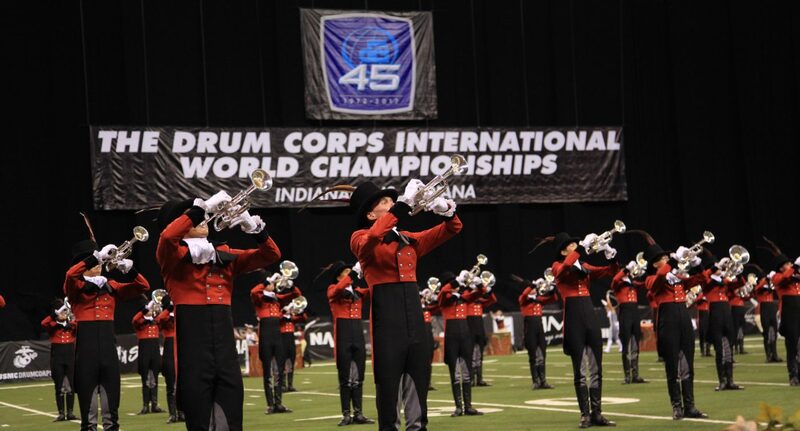 Since 2007, Kevin has a brass instructor for the 18-time World Champion Blue Devils Drum and Bugle Corps. Prior to joining The Blue Devils staff, Kevin was a member of the hornline and served as tuba section leader. From 2001-2003, he was a member of the Arizona Academy Brass and Percussion Ensemble. Mr. Ronan currently resides in Lewisville, TX where he is a private lesson instructor in the Marcus High School and Hebron High School clusters.